Café Tacvba, Live In Concert One of the most popular bands in all of Mexico takes the stage at Stubb's in Austin for NPR Music's SXSW showcase. 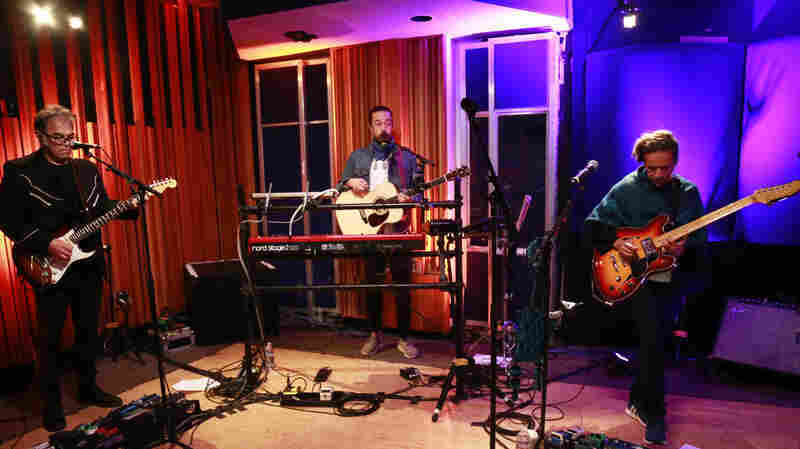 Watch singer Rubén Albarrán and Café Tacvba perform songs from their new album. A playful, electronics-infused Mexican rock band, Café Tacvba found itself in an unusual spot on the Stubb's stage at SXSW on March 13: namely, bookended by Nick Cave and Yeah Yeah Yeahs, both of whom roll around seductively in far seedier corners of rock 'n' roll. 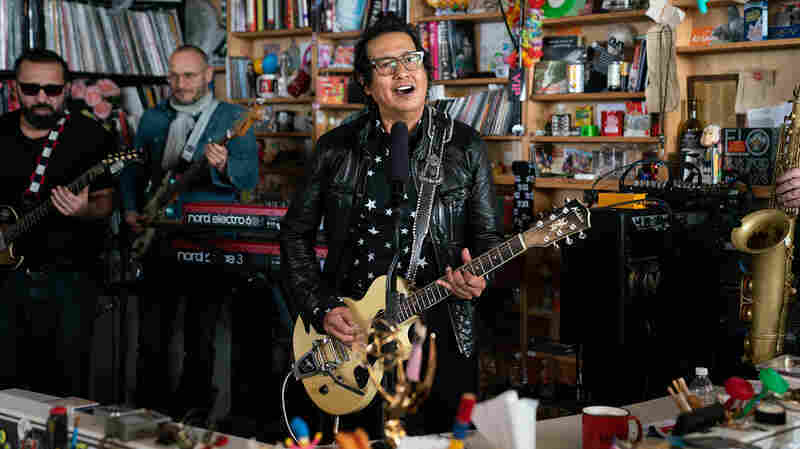 Singing in Spanish to a largely English-language crowd, singer Rubén Albarrán had to get his points across through giddiness-induced goodwill, not to mention the live-wire showmanship of a rock star with a 20-year pedigree. 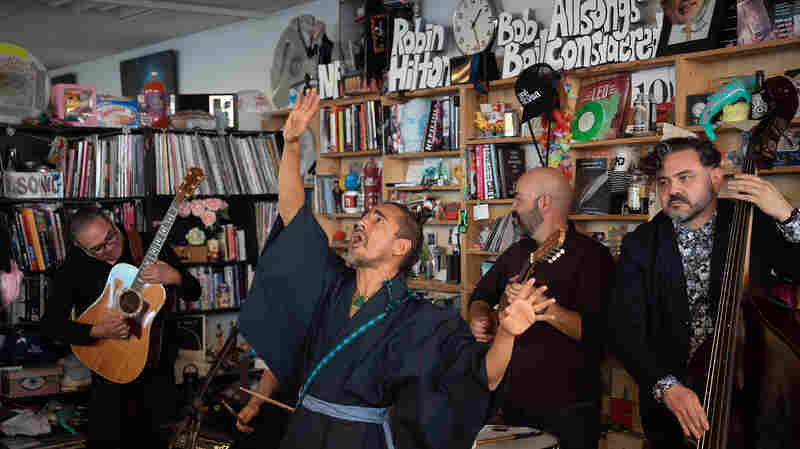 Which isn't to say Café Tacvba is strictly lighthearted; these guys understand their role as cultural ambassadors, and deftly mix serious politics into songs that just happen to bounce and surge with chant-along, jump-up-and-down urgency. El Objeto Antes Llamado Disco, the Tacvbos' first album in five years, finds them polishing that mix of heavy and light, of introspection and extroversion, until it shines. Of course, it never hurts that Albarrán — one of Mexico's greatest and most beloved frontmen — still addresses crowds with the breathless excitement of a particularly fun-loving motivational speaker, whether he's renouncing corporatism or reveling in the transportive power of pleasure and dancing. It's a band with plenty of room for social consciousness, but also, late in this concert, an unapologetically choreographed dance routine worthy of the Backstreet Boys. As Albarrán himself says late in this disarming performance, "Let's dance! Free yourself!" * This track is not included in the video presentation. 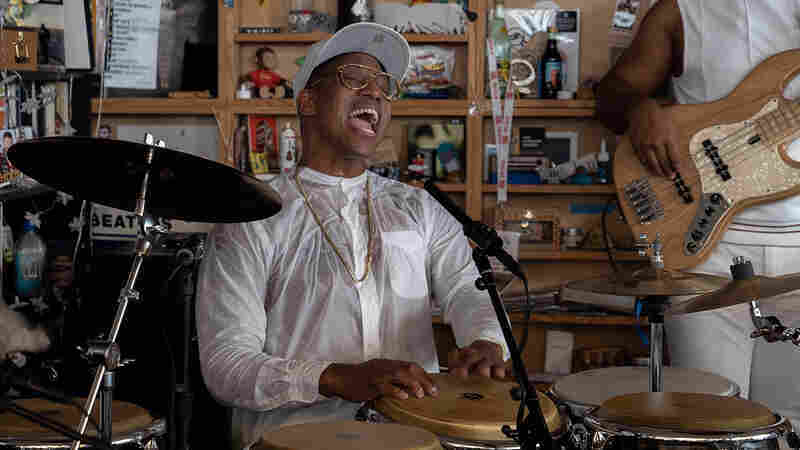 February 20, 2019  The Afro-Cuban percussionist mesmerizes with his almost otherworldly talent on congas. 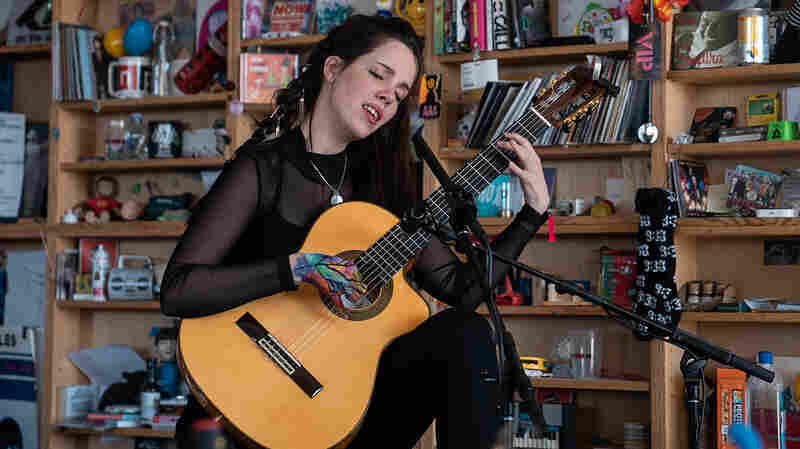 February 11, 2019  There's a magical aura that surrounds Lau Noah as she sits behind the Tiny Desk and unspools thought-provoking story-songs. 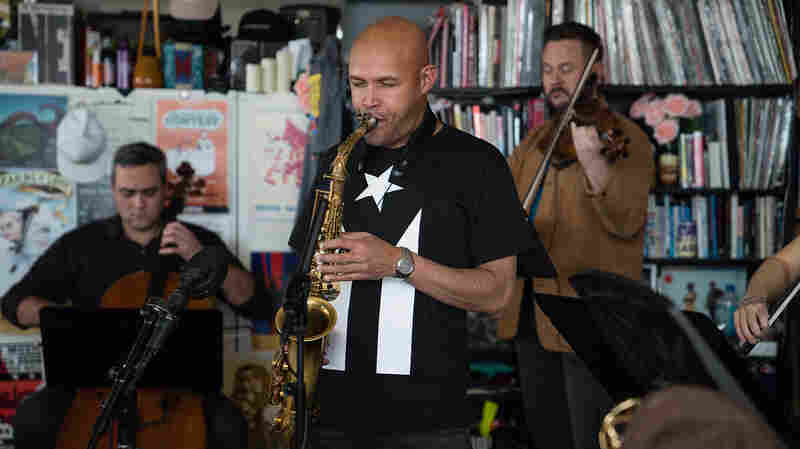 January 4, 2019  The saxophonist is a big thinker whose mesmerizing compositions chronicle the music of his native Puerto Rico with the help of an adventurous jazz quartet. 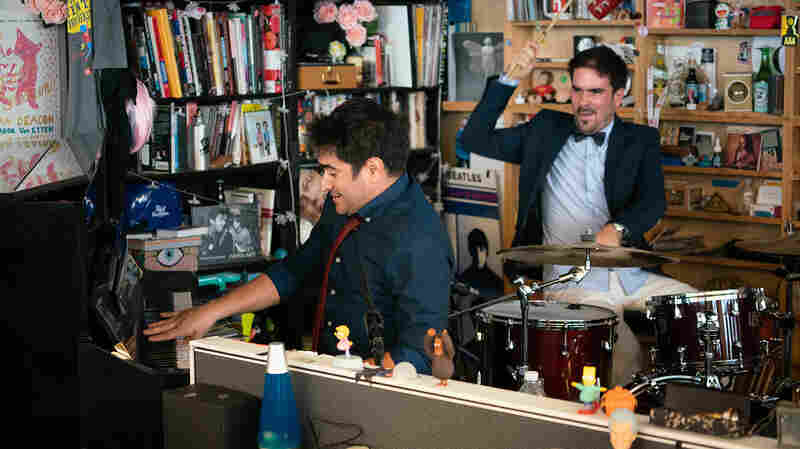 December 14, 2018  Cuban pianist Harold López-Nussa, along with his brother Ruy on drums and bassist Gaston Joya, deliver a set of danceable jazz explorations rooted in Afro-Cuban musical traditions to the Tiny Desk. October 29, 2018  Liniker e os Caramelows are from Brazil but steeped in the tradition of soul from here in the U.S. Watching this performance is to witness a spell being cast, note-by-note. 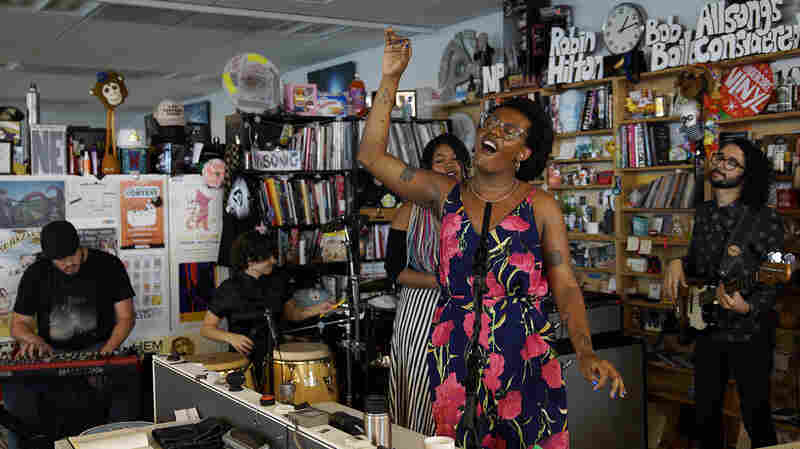 October 18, 2018  The Cuban pianist thrilled the NPR office with an intense performance that was as melodic as it was rhythmic. 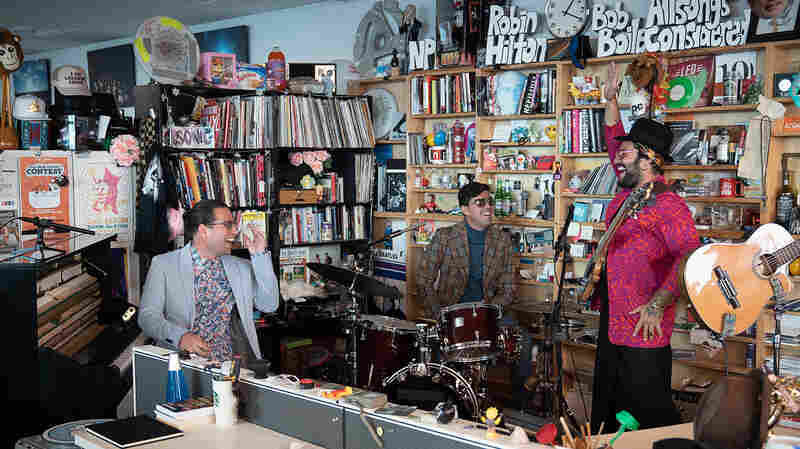 October 12, 2018  The pioneering Mexican band recreates the adventurous musical energy of their massive stadium shows behind Bob Boilen's desk.